Every once in a while, we find ourselves in a predicament where we need an inexpensive smartphone. Whether we're finally upgrading from that feature phone we held onto too long or we dropped our current smartphone, sometimes we need a quick replacement to get back on track. That's where Android One comes in. Android One was initially intended to help create good smartphones for low-income regions. But Google was aware of all the problems plaguing cheap smartphones, including laggy performance, ridiculously heavy skins, and a complete lack of updates. Now, Android One phones are a great option even in high-income regions. For the price of a refurbished iPhone, you can get a brand new Android One device with few compromises. All Android One phones run an unmodified version of Android, get three years of security patches, two version updates, and are updated by Google themselves. Whether you're looking to buy a used iPhone or a refurbished one, an Android One device may be a much better buy for a number of reasons. To be included in the Android One program, a device must adhere to a set of guidelines designed to provide its users with a great experience. One of those guidelines is that each device must run an unmodified version of Android without bloatware. The Android One program dictates what apps can be preinstalled to prevent any loopholes or confusion. Additionally, all devices will run the latest version of Android and receive two years of OS updates followed by an extra year of security patches. Google also asks that OEMs create devices from a standard set of hardware components. With this standard set of hardware, Google is able to push out updates faster, oftentimes a few days after a patch or software update is finalized. For example, the Nokia 6.1 is one of a handful of sub-$300 phones which runs the newest version of Android, 8.1 Oreo. This negates one of the main selling points of used iPhones. 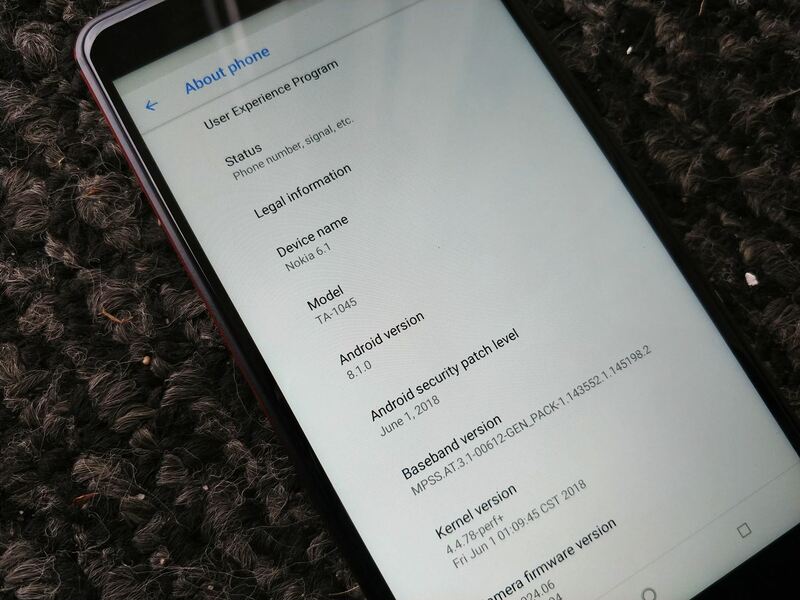 Traditionally, cheap Android phones don't receive firmware updates, which means you'd be missing out on features while being vulnerable to the latest security exploits. Even though Apple has updated phones for as long as 5 years, used models are typically at least 2 years old, so they wouldn't be supported any longer than a new Android One phone. 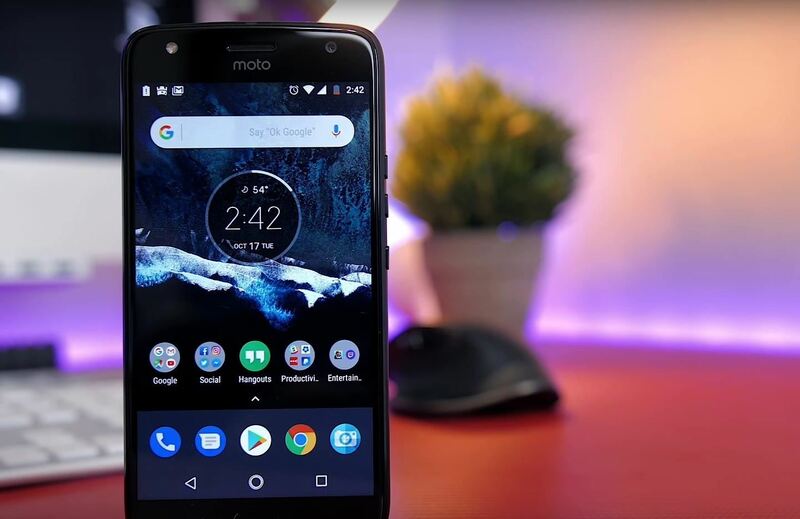 While we expect more models soon, there are currently only two Android One phones officially available to US customers: The Moto X4 and the Nokia 6.1. The Moto X4 is priced at $249.99, while the Nokia 6.1 is available for $269.99. 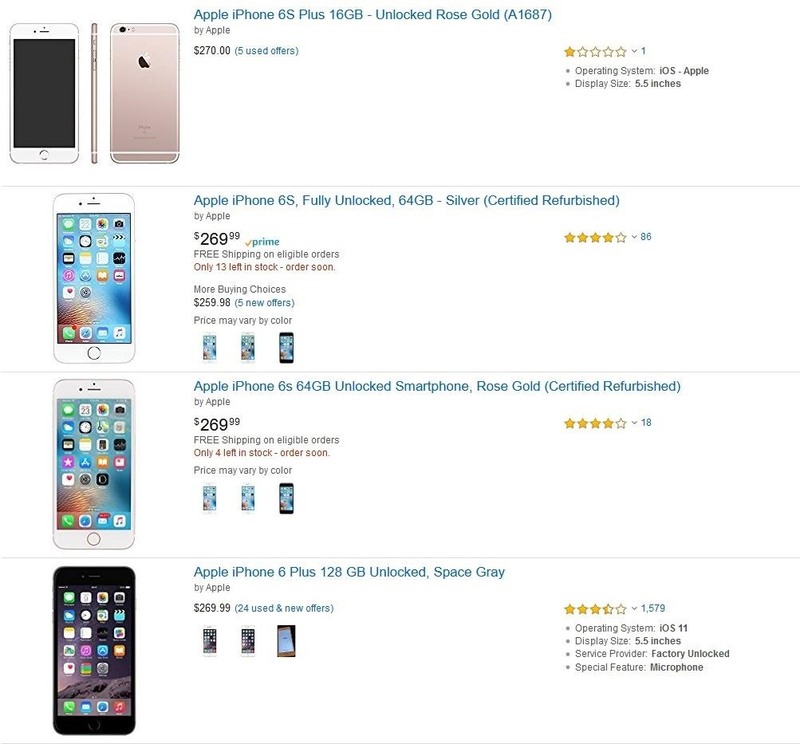 At that price, the best iPhones available are refurbished and sold by third parties, with the newest model being the iPhone 6S. As a refurbished model, they will have wear and tear. This wear and tear can include the body of the device and the screen, but most importantly, will have already affected the battery. The battery has already been charged and discharged. As a result, it will no longer have the out-of-the-box battery life its previous owner enjoyed. Additionally, Apple recently admitted to throttling performance on older phones to help extend battery life — you can disable this feature, but then you deal with the lower battery life. However, the Android One devices are all brand new — there is no wear anywhere. You will enjoy the full capacity of the battery and control at what rate its capacity decreases. Also, Android doesn't have any performance throttling feature, meaning at no time do you need to worry about your device running slower. One thing often forgotten about when purchasing a phone is the warranty. While there is no guarantee something will happen, a warranty will at least cover manufacturer defects. However, when you go the route of a refurbished or used iPhone, your warranty is affected. For refurbished iPhones under $270, the warranty is limited to 90 days. For three months, your device is insured against failures. Afterward, the only other form of warranty available is AppleCare, which starts at $129 for two years' worth of protection. With a used iPhone, you won't even have warranty. With the iPhone 6S almost three years old, it is already out of its one-year warranty that a new iPhone receives out of the box. However, a brand new phone won't have this problem. Not only is it less likely you will even need to use the warranty, but it includes a much longer duration. Both the Moto X4 and Nokia 6.1 come with a one-year warranty out the box. While both Android One phones are inexpensive, they are by no means low-end. Both phones offer great value at a price tag that most people can afford. The Moto X4 has a dual camera system, a 16 MP selfie camera, 5.2" 1080p display, and IP68 water resistance. The Nokia 6.1 uses a ZEISS lens, has a 6000 series aluminum unibody, a 5.5" 1080p display, 4 GB of RAM, and the ability to simultaneously use both the rear and front camera. Both devices use the Qualcomm Snapdragon 630 chipset, and it's paired with a 3,000 mAh battery. While the battery capacity may seem small, it's larger than any iPhone battery, and because of the power efficiency of the Snapdragon 630, both devices last all day. Unless you're just too deeply embedded in Apple's ecosystem, phones in the Android One program are an enticing offer. Both offer great hardware that provides excellent performance in a premium body. And thanks to stock Android, its software will runs smoothly while always remaining up-to-date. In many ways, these are Pixels for people on a budget.